Active, fulfilling days are at your fingertips at Bentley Senior Living at Northminster. 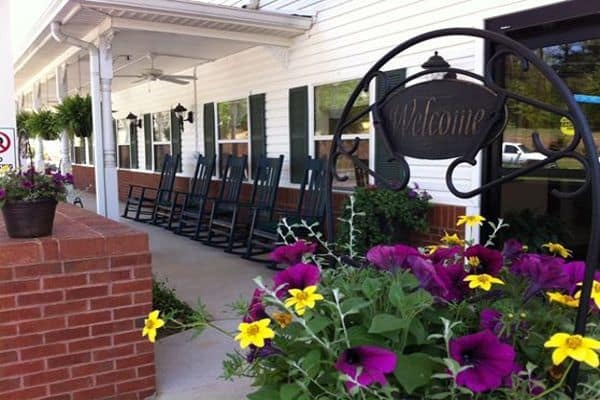 Independent Living at our senior living community in Jefferson, GA, affords you opportunities for fun and relaxation, minus the responsibilities of everyday chores and home maintenance. Enjoy a life of independence in a community that feels like home, with the support of a friendly, expert team that’s here for you if and when you need it. Southern hospitality and attention to detail are our trademark. Call Bentley Senior Living at Northminster home and continue living the life you love. Take in a delicious, nutritious restaurant-style meal in our community at Bentley Senior Living at Northminster. Our culinary team is committed to serving you the very best every day, in a setting that feels both beautiful and familiar. We believe mealtime is about more than food – it’s a chance for residents to be social and relax. All of the meals on our daily menus follow nutritional guidelines to help residents feel their best. For those on special diets, our team can cater to most dietary requirements. Independent Living residents can rest assured they will get exactly the level of support they need at our Jefferson, GA, senior living community. Residents will enjoy three restaurant-style meals daily, plus wellness services and options if and when they need them.